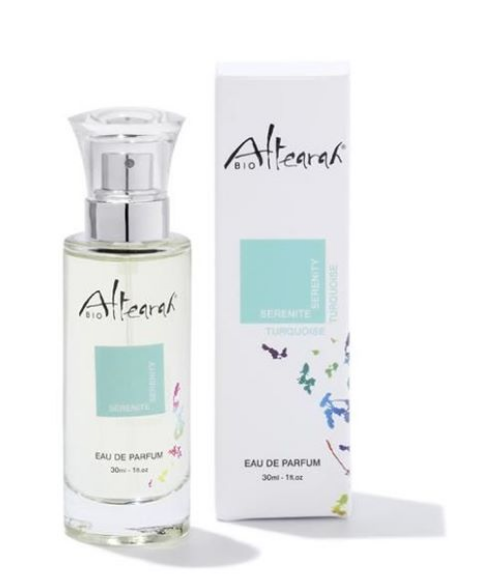 Altearah Australia is delighted to bring you the latest in Organic perfumery direct from the south of France; Perfume sprays, body oils and serums that smell wonderful while boosting your mood and enhancing your wellbeing. You can choose from a range of 14 colours; each colour creates a mood and offers you a palette of colour emotion. Imagine the impact of combining aromatherapy and colour therapy. Imagine the dance your nose will do with that combination. Well now you can. 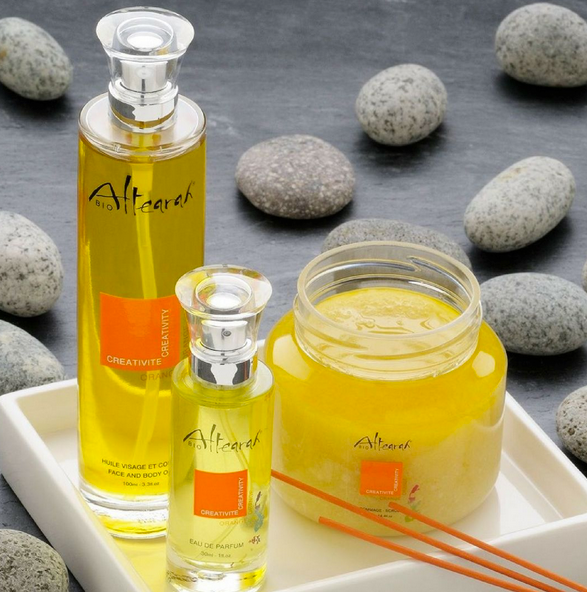 At Altearah Australia we believe in wellness, naturally. Looking good and feeling good should not be harmful so we are all for organic – especially when it smells and feels this good. 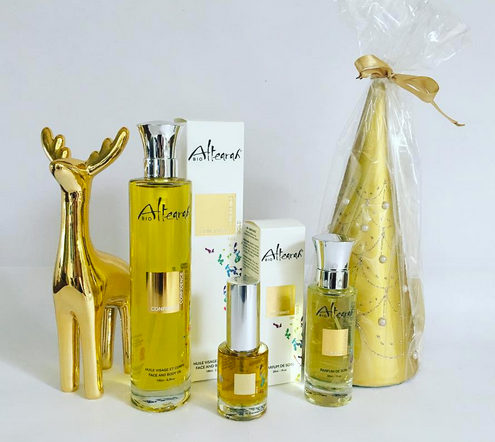 The entire Altearah range is 100% organic so you know its safe. 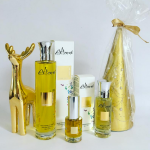 A full range of 14 colours is available in perfumes, body oils and concentrated serums. Each colour is a blend of essential oils, specifically selected to boost your mood and enhance your emotions. 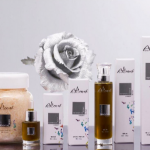 Emotive colour cosmetics are intended to support people to connect with themselves at a deeper level. Greater wellness is achieved through balancing the emotions and maintaining a positive outlook. Greater self awareness teaches us how to understand ourselves, connect with our feelings and to live more consciously and authentically. 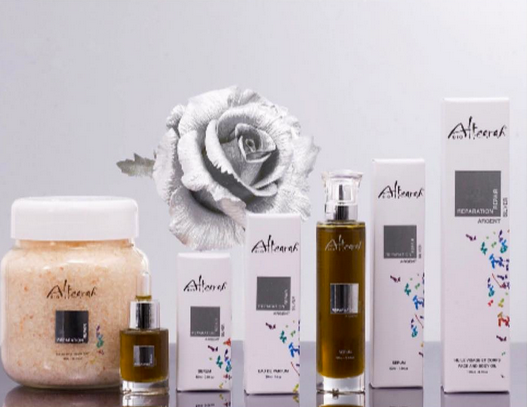 The Altearah cosmetics support you every day. Select a scrub to cleans, nourish and hydrate your skin. Select a body oil to moisturise, repair and tonify the skin and go deep into you personal connection with yourself. Use every morning and spoil yourself at night. Select a Perfume spray to receive an instant burst of lightness and release. Use the spray 4 to 5 times during the day to maintain the effect.Select a serum to treat a specific pain or problem area. Rub into the affected are regularly during the day.